Well I've been terribly quiet again for the last while. I spent the last week or so on rathlin island working and partying. It was amazing and exhausting. Since returning I've been taking it pretty easy. I'm testing out my new phone – a nokia E65. I'm definitely liking the wireless lan option on it and the simple install of additional software. First time I've ever spent money on a phone. 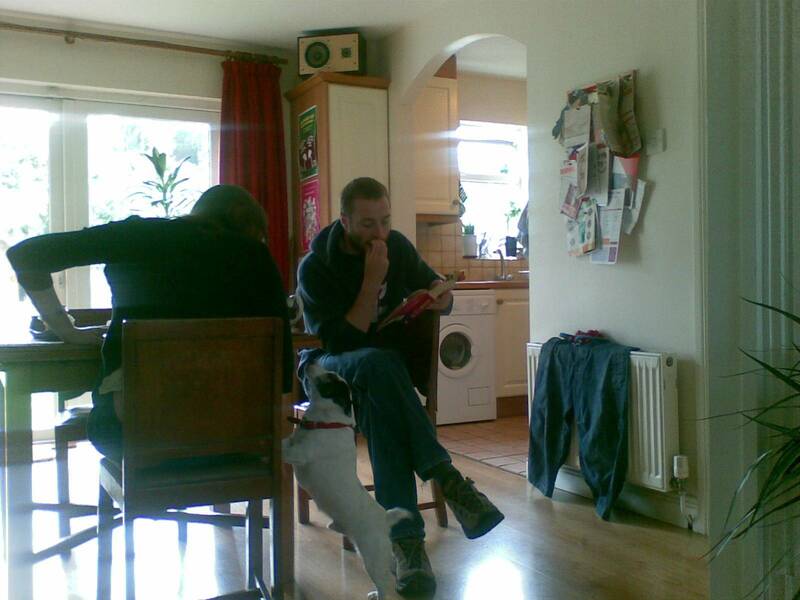 Below is a photo of Gaia, John and Sam the dog. We're chilling out in John's gaff after a late breakfast.